This is your chance to win this original 5 x 7 watercolor painting I made! All you have to do is visit my page Cynthia Crane's Art and "Like" this photo - you don’t even need to leave a comment to participate, but it would be wonderful if you did! I'll put your names in a hat and announce the winner on Saturday morning. Have a beautiful day friends! Congratulations Shannon Sheehy! 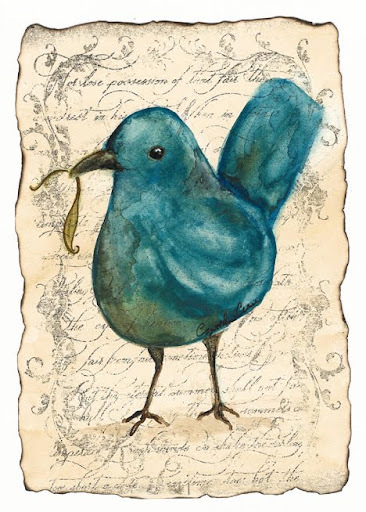 You are the winner of Little Vintage Bluebird watercolor painting! Thanks very much to all of you who visited my Facebook Page - Cynthia Crane's Art - and "liked" this painting.